BANILA CO was born in 2005 to represent our true Korean beauty heritage with innovative, sophisticated ingredients and textures to meet thecontemporary lifestyle needs of today’s woman, who values self expression. Acclaimed by women in their 20s and 30s as the “Seoul Beauty Brand”! The year 2017 brought BANILA CO’s beauty movement to life with a new slogan “Skincare For Makeup” with the introduction of new skincare product lines infused with innovative formulations to address the needs of different skin types and different skin conditions that is fun, fast & convenient at affordable prices. 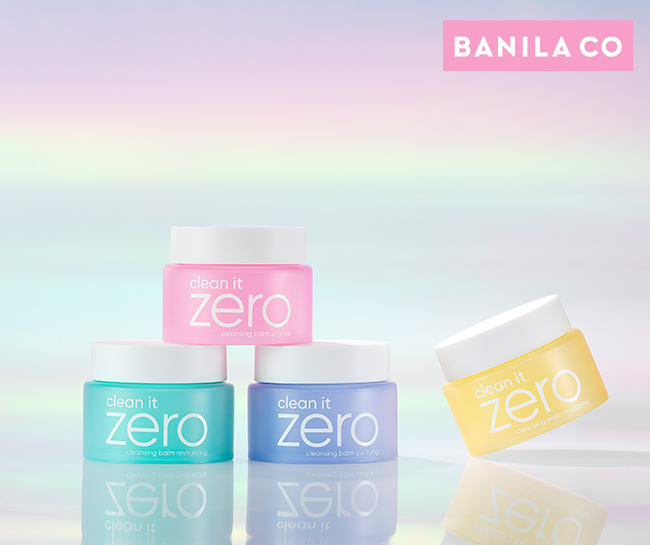 BANILA CO’s unique and fundamental approach to skincare meets the needs of ALL SKIN TYPES and ALL CONDITIONS. We address two basic skin conditions - “before and after makeup” - skincare products infused with innovative ingredients to heal your skin + skincare that works to prep your skin for your perfect makeup look.